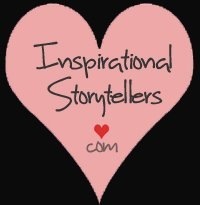 On Tuesday, February 12, 2013, I am launching a new blog talk radio show with Inspirational Storytellers. My goal for this show, really for the energy we’re putting out there, is that we will all take our Light to the next level. Whatever that phrase “the next level” means to us. Because if we’re still here in 3D, it means we still have something to complete. Something not yet finished or done. It’s therefore my hope, my wish, my dream—that we’ll inspire one another to take the next step. My personal agenda for this lifetime has been to connect with my inner-self, my soul, and to express the whys and wherefores through art and writing, so that others would see what I saw, feel what I felt, and hopefully be inspired to connect to their inner-self and feel the strength of their soul, so that we all might connect through this higher plane of being and feel our Oneness. My mantra when I was a teenager was, “When there’s a will there’s a way.” I had wild dreams in those days. Going off to London to study at Rada and be an actress in England. My mother was always trying to bring me back to reality, which I saw as her reality, not mine. I decided that I had been chosen to accomplish great things. I just decided this! No one told me I would. I hadn’t begun to go to psychics or astrologers yet. I just read a lot of books, saw a lot of plays and movies – and fed my imagination. But one thing my mother did give me, and the early training we get in childhood should never be underestimated—she gave me her fearlessness. We were very broke at one time, and had the phone cut off and threats from the electric company to shut off our lights, and all she said was that candlelight was romantic. And at least we wouldn’t be bothered by bill collectors after the phone was shut off. And, “You can’t get blood from a stone.” What a cavalier attitude! She also sold most of our things she could get money for, and when I complained about it she told me not to put my faith in material objects. So you could say I had some good early training there. And the result was that lack of funds never deterred me from a life in the arts. But I didn’t only have my mantra, “When there’s a will there’s a way,” I also prayed. And I made wishes, and threw coins in fountains. And I think most importantly, I believed my wishes and prayers would come true! 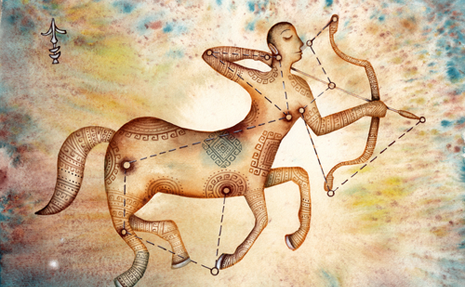 I should also say that I was born under the sign of Sagittarius, which not only made me unusually optimistic, but it’s the sign ruled by Jupiter, the planet symbolizing luck and good fortune. So I’ve tended to believe that I would be lucky – which of course contributed to more luck coming my way. But there have been other things too, like my willingness to be impressionable. Now, being impressionable is often looked upon as a negative, but I don’t see it that way. The way I see it, I am open for impressions, and therefore open to being impressed upon, and therefore, as long as I stay in the light—more light will be impressed upon me. I could change the word here to Inspired. I am open to being inspired, and therefore inspiration comes to me! And one of the reasons is because I never lost my childlike willingness to believe in magic, or in the impossible. 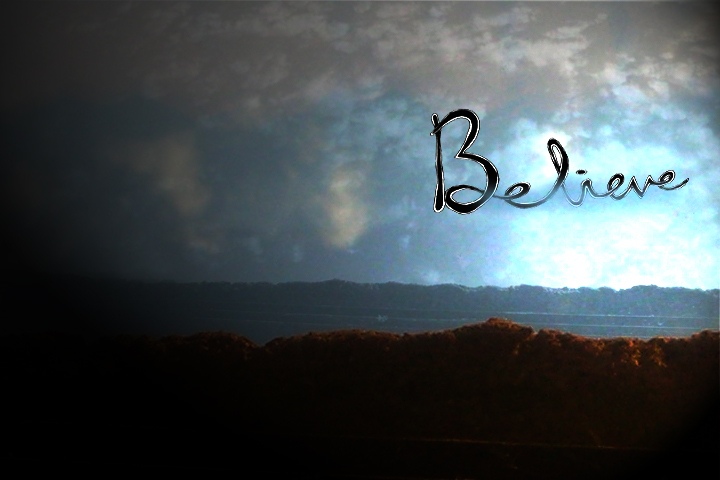 Belief comes naturally to children, because as children we’re betwixt and between two worlds. We haven’t yet learned our limitations. Our imaginations run free. We believe in fairy tales and Santa Claus and Father Christmas, and lap up Harry Potter. One of my favorite children’s stories is Polar Express, about the little boy who could hear the bell when his parents couldn’t. It’s our decision, ours alone, whether we are going to keep belief alive, and feel and hear and see the magic of life—or not. I learned how to paint step by step—no magic there—but people come by and look at my work and think its magical—simply because they don’t know how to do it. We listen to a violinist or anyone playing an instrument to perfection—and think how blessed they are to be able to do such a thing. But as anyone who knows will tell you, it’s 95% perspiration, and only 5% inspiration. We have to put in the time. We have to become adept. And then, if we’re lucky, there will be times when we paint or write or perform with inspiration, as if the energy is just coming through us, and all we’re doing is just allowing it. But what do we do when we’re NOT inspired??? I don’t know how to do anything other than wait. When I was painting full-time, I went through a really fallow period at one point, and the longer it went on the more depressed I became. And then I found a book in the bookstore, quite by chance, that was called, On Not Being Able to Paint. And what I learned was that it was okay not being able to paint. I can’t remember what else, but the main thing was that I realized I could respect that part of myself that had just shut down for a while. And later on, you know, I found that what was preventing me from working was okay, and it was there for a reason. Sometimes these fallow times come because we’re between things, between what we’ve been doing, and what we’re going to be doing next. Anyway, it comes down to respecting the process and not having preconceived ideas as to what it should be. The other thing though, is knowing when we’re emotionally blocked, and then we need to look at what’s going on inside. It really comes back to this thing of KNOW THYSELF. And then taking whatever steps are needed. Such as just waiting it out. Or doing something else meanwhile. But underlying this whole thing is the word TRUST. Trusting that the energy will come back with the tides, or when the tide is right. It means being in touch with your mood swings, and stepping into your fear, if that’s the case. It might mean keeping a journal, recording your thoughts and fears, or meditating, or meditating more, or seeking help. We also need to keep in mind that the energy of inspiration can be extremely demanding and is not meant to continue indefinitely. We might have to fall back to the heaviness of earth for a spell, gather our forces again, replenish. When we’re inspired we might not sleep enough or eat properly, and therefore might need to spend more time on our physical well-being for a while, refueling the tank, as it were. What I’ve noticed is that during my so-called fallow periods, I am absorbing something new under the surface. Inspiration carries with it the need for expression. We’re inspired to create something, express something. Well, I set my alarm every day at a certain time to get up and get my coffee and sit down and write. Whether or not I’m inspired, I’m going to put in those hours. And every afternoon or evening I open my little sketchbook called A Sketch A Day, and I draw something, whether I’m inspired or not. And sometimes during the process of writing or drawing, I feel a flash of inspiration. But whether I do or not doesn’t matter; I’m still going to do the work. It’s called keeping your hand in, so that when inspiration does strike—you’re there with all four burners cooking away. This entry was posted in Blog Talk Radio, Uncategorized and tagged Art, autobiography, being inspired, believe, blog talk radio, expression, Inspirational Storytellers, Nancy Wait, Sagittarius, writing. Bookmark the permalink.